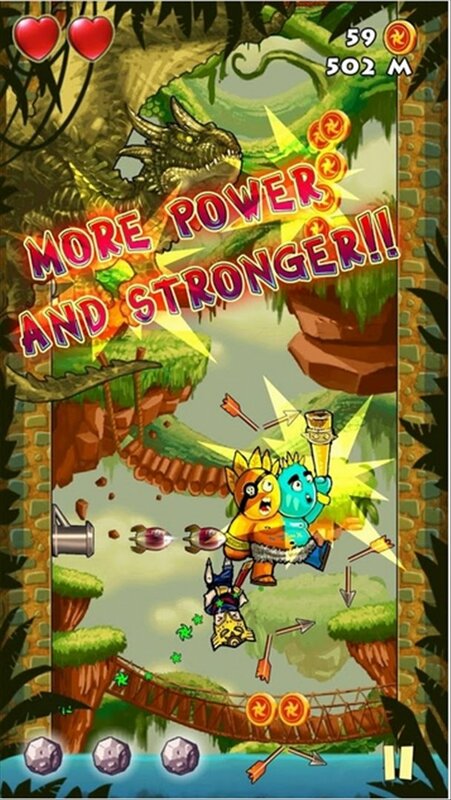 If you're really into endless runner games, you're going to have plenty of fun with Jump Jump Ninja for Android. 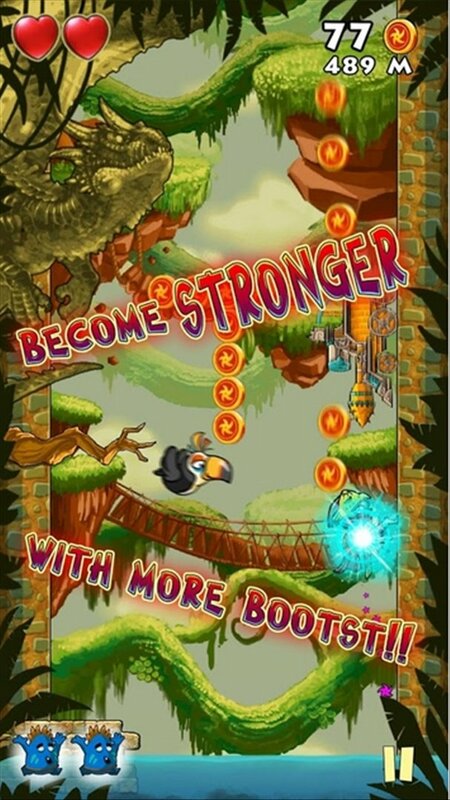 It's a vertical endless runner arcade game in which our objective is to climb as high as we can. 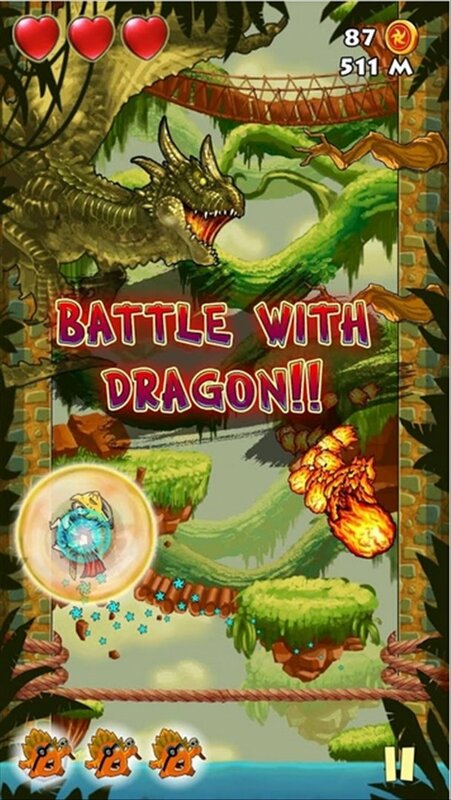 Avoid being burnt by the fire launched by the dragon. As its name indicates, in Jump Jump Ninja you're a ninja that has to jump non-stop, dodging the different obstacles you find on your way up, while you collect coins. Easy-to-play arcade game: just one tap on the screen to jump. Wide range of obstacles to be avoided. Interesting power-ups spread around the scenario.